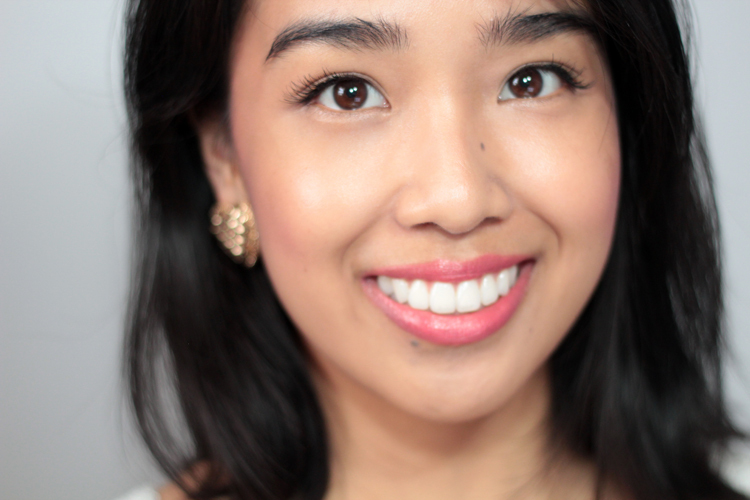 It certainly hasn't felt like Spring this past week, but that's not going to stop this girl from wearing Spring-esque makeup. This week's look is perhaps a little too much like last week's FOTD (btw, I'm making face-of-the-day Fridays a new thing now). What can I say? I am a creature of habit. But, in the same way I justify my makeup purchases, it is not the same, it's similar. Inspired by another recent MAC purchase, the cheeks are a mix of MAC Peaches (sheertone) & Fleur Power (satin), while on the lips is MAC Crosswires (creamsheen). Peaches is a true peach, while Fleur Power is a bright pinky coral. 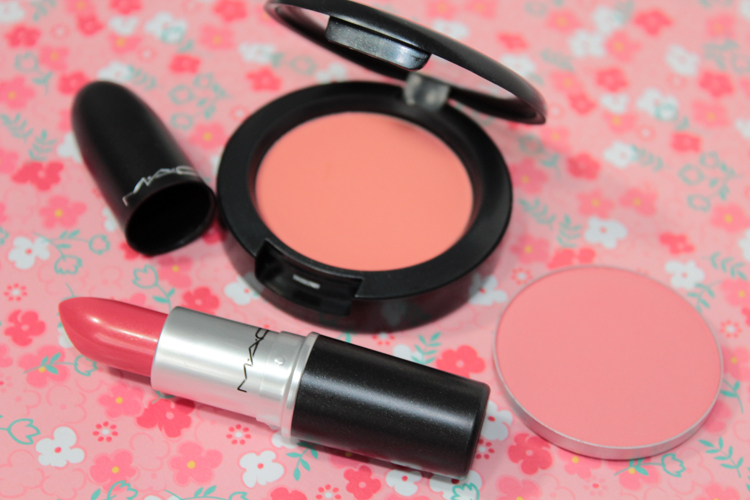 MAC blushes wear pretty well on me, I find that they last throughout the day with only a little fading. 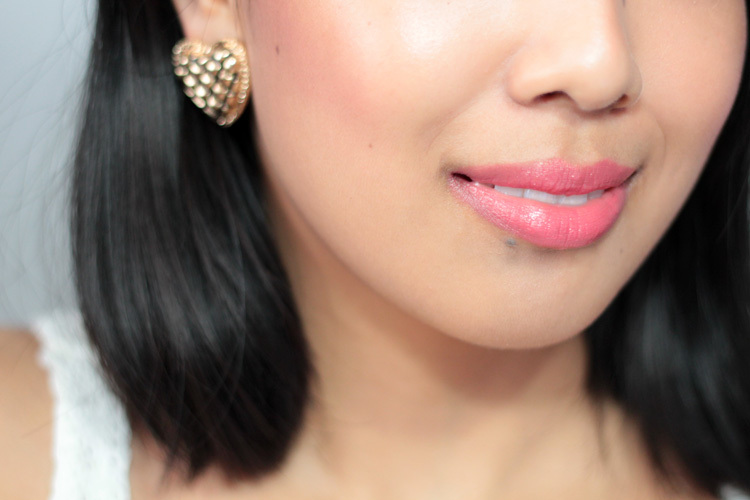 Crosswires is a beautiful coral pink lipstick that I've been really loving this week. 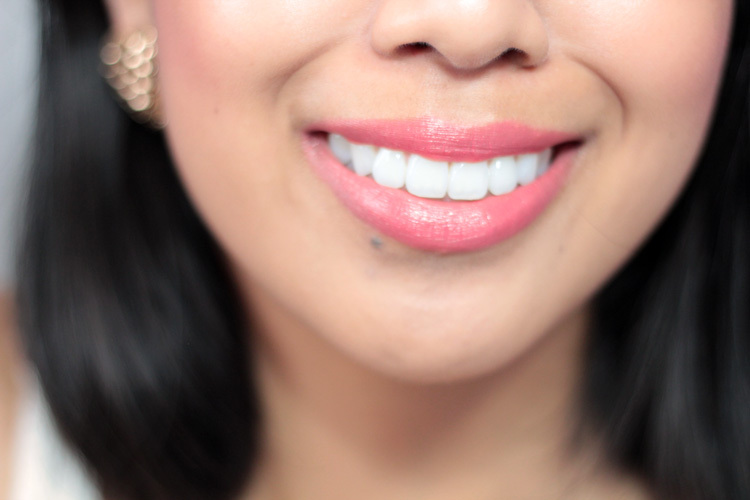 On my lips, it wears like a brighter, more opaque version of See Sheer. The Creamsheen formula is growing on me. It is easy to wear and comfortable on the lips. It also lasts a bit longer on me than the Lustre formula. Ps, for those of you who don't know, I am a Beauty Panel contributor for FashionMagazine.com. Each week we are given a challenge to complete and this week is all about false eyelashes! Falsies are a great way to add drama to any makeup look, but I love using them to add more definition to my eyes by making my lashes look a little fuller than they really are. I love using demi lashes (i.e., accent lashes). I find regular lash strips look a little fake on me (though, I suppose they're not called falsies for no reason)... plus, I always end up having to trim them because they're too big for my eyes. In terms of lash glue, my favourite is the Duo lash adhesive in dark-tone. It's great if you have dark lashes because it blends really well. I find that the "clear" glues never really dry clear on me. Where are your earrings from? They're so pretty! You look absolutely beautiful! So fresh and I must get this MAC lipstick ASAP!